Balloons fill a child's heart with glee, and quite obviously, they bring joy to those who are young at heart as well. 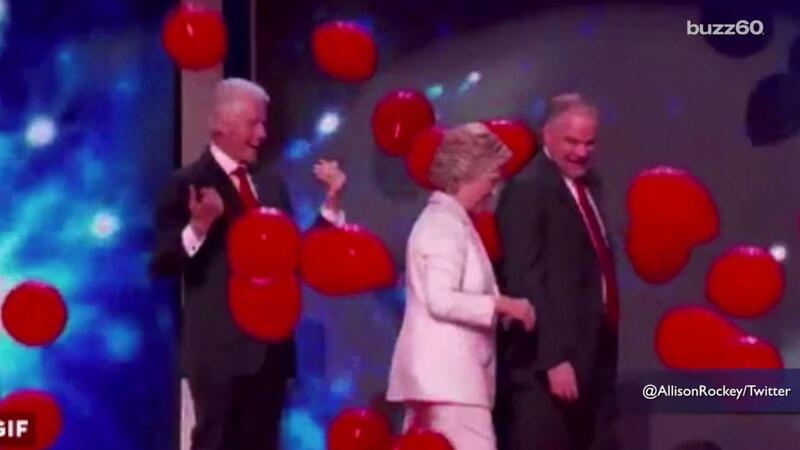 Between the Republican National Convention and the Democratic National Convention over a quarter of a million balloons were dropped from the ceiling. Hours of work are spent filling them, and the drop lasts about a minute. And, after that fun filled minute, the result is a hundred thousand balloons on the floor. So, what exactly happens to all the balloons once they're fallen? Thanks to Twitter, we are able to watch the balloon popping party happen. One guy summoned his inner caveman and just bit the balloons to pop them. Others used one pin at a time. And Another guy used a razor blade. The question remains are these people getting paid an hourly rate or are they volunteers who just love to pop things? Setting the stage for a historic Democratic National Convention.